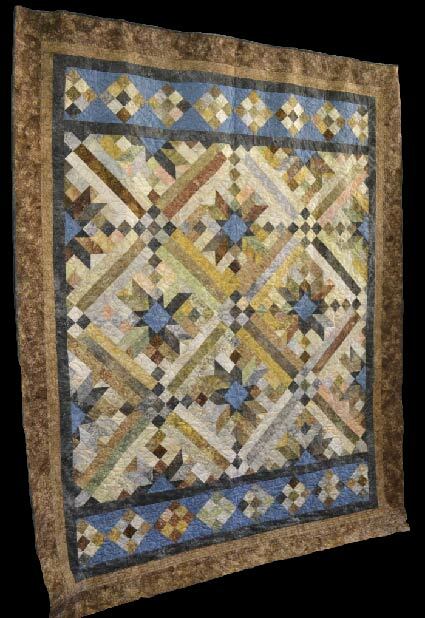 NJWC Spotlight: "Cook Out in a Bag"
You will be able to admire the beautiful quilt and buy your raffle tickets at Craftworks beginning August 1st! In June, 2013, 370 bags of food were distributed, a 47% increase since 2007, and 103 Households benefited from the Northborough Food Pantry, a 75% increase since 2007. Since July, 2012, 163 families have used the Pantry. This month, we would like to highlight the amazing support given to the pantry by Lowe's Market. 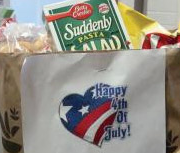 and her fellow volunteers filled dozens of bags with everything families needed to have a fun cookout. their own lives, our children don't always realize that there are people right here in their own town that are in need of basic things like food and clothing." The pantry families truly enjoyed the wonderful treat! Thank you so much for your generosity. Open House Potluck meeting on Tuesday, Sept. 24th, at the Trinity Church in Northborough. Social time 6:30pm; meeting starts 7pm. 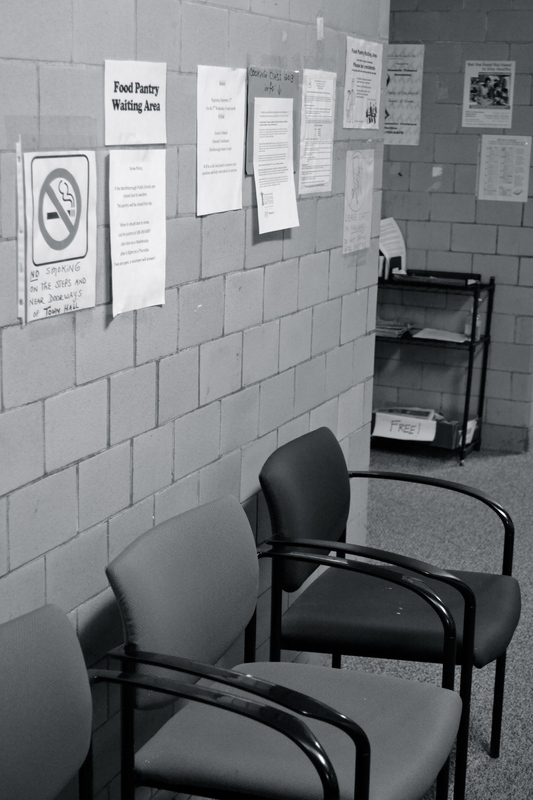 At 63, Adriane did not know what to expect the first time she had to come to the pantry. She wore a hoody sweatshirt, and kept to herself. High medical bills, rent, and the cost of gas were making it difficult for Adriane to purchase enough healthy groceries. "I was embarrassed and afraid," she said smiling. "Until another client put her arm around me, and told me everything was going to be OK." Since that first day, she has come to know the pantry as a safe place for her to get ingredients for making healthy meals. "Sarah Rothery is wonderful, there is no other person like her," Adriane says about the Food Pantry's current director. She is upbeat and positive, and so very grateful the help the staff has provided. She is looking forward to giving back to the other members. "I love to cook, and would love to help out the pantry with classes and share my cooking experience." When asked what she is looking forward to in the future, "Moving forward! Sometimes it's hard to look ahead and you do need to focus on today." The St. Rose Community Garden has been providing fresh produce to the clients of the Northborough Food Pantry for the last six summers. During the 2012 season, the garden yielded nearly 500 cucumbers, over 600 tomatoes, almost 800 zucchini and summer squash, over 100 eggplant, 20 pints of green beans, and over 60 butternut squash. The garden is growing now and will soon begin producing vegetables for the Pantry. 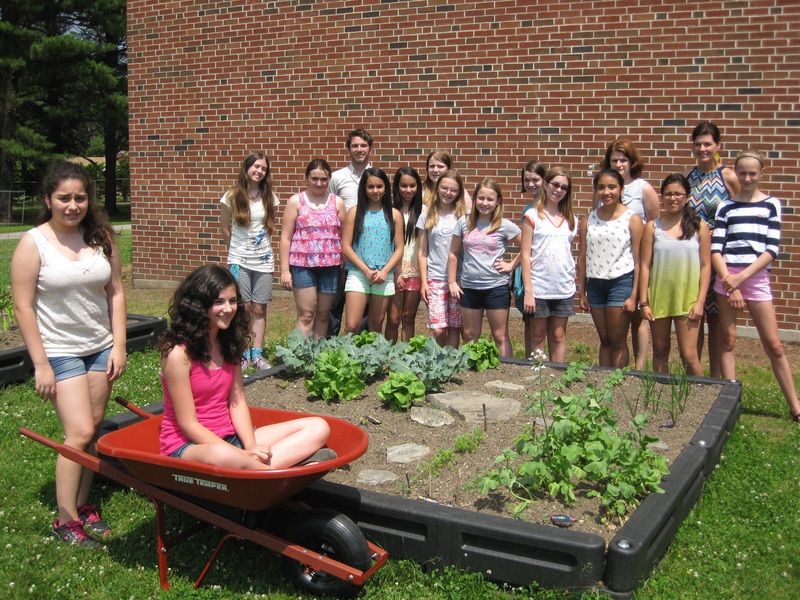 The garden began in 2008 as the Eagle Scout project of St. Rose of Lima parishioner, Will Deady; an outgrowth of the Young Neighbors in Action program of 2007. The following year, the garden committee was formed to ensure continuation of the project. The committee oversees the planning and coordination of the garden and relies on volunteers from the parish to plant, weed, harvest, and deliver the vegetables to the Food Pantry. People from the larger community assist with rototilling, donating compost, delivering grass clippings to keep out the weeds, and providing the vegetable plants, and most importantly, supplying the water. The St. Rose parish community is pleased to be able to continue to contribute fresh produce to the Food Pantry and in the process help out our neighbors in the Northborough community. filled with organically grown produce that will be donated to the Northborough Food Pantry. By fostering a relationship with our local food pantry, students will develop a sense of ownership, stewardship, and empathy. Furthermore, community gardens in schools promote nutrition awareness, peer acceptance, and active learning. Members of the collective have been involved in all parts of the garden's life cycle and have learned lessons about hard work and community pride. Like the education of youth, gardening requires patience and constant care for a successful harvest. Thank you so much to both amazing gardens for providing our community fresh, healthy produce!